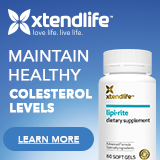 An alternative, perhaps, to prescription cholesterol drugs for lowering cardiovascular risk - strokes, heart attacks, arterial blockages, and so on. Cardiovascular disease is one of the major causes of death in this country, accounting for 38% of deaths among all women and 33.1% among men, so finding help is a major priority for the medical community. The idea that pets help with CV disease has been floating around the medical community for a while, but the first real scientific research is just starting to come out and the results are a bit surprising. However, can pets decrease the risks of cardiovascular disease? Those of us who have pets know how much joy they can bring into our lives on a daily basis. I care for a Siberian Husky and a Siamese cat, and my home would be empty without them. According to a study presented at the 2008 meeting of the American Stroke Association, cats in the home reduce the chances of death from cardiovascular disease by 30%. The study focused on analyzing data from 4,300 Americans from 1976 to 1980 and was performed by researchers at the University of Minnesota. During the American Heart Association meeting in 2005, another study was presented showing that a single twelve minute visit with a dog improved both heart and lung function in people with heart failure. While the 2008 presentation didn't have any data on dogs due to lack of dog owners in the study, the researchers stated that one would probably see the same results if not better. After all, dogs make their owners get out of the house and walk on a daily basis. Why should pets lower cardiovascular risk? How can owning a pet reduce cardiovascular disease and death? Well, there's been a long-acknowledged connection in the medical world between psychological stress and anxiety and cardiovascular disease. Properly cared for, pets are a well known stress reducer. Logically, anything that reduces stress and anxiety would help with cardiovascular disease. In addition to helping with cardiovascular disease, pets have been shown to reduce post-stroke rehabilitation time and improve the chances of survival after a serious illness or traumatic surgery. Interaction with animals often produces a measureable drop in blood pressure. In addition, people who don't have a reason to get up and do something often have problems with recovery because they feel useless and unnecessary to anyone. Pets need us to take care of them as much as we need their affection. While pets may be less costly than expensive medical treatments in terms of money, they require much more of an emotional investment. Humans are very social creatures and social grooming is one of our deepest instincts. The act of petting a cat or a dog allows us to give and recieve affection without emotional demands or relationship stress. While everything else in the world is getting more complicated and human relationships can get downright maddening, our pets love us for who we are. Pets don't demand anything more taxing than adequate care, feeding, and affection. Unfortunately, there's not much data on other kinds of pets, such as turtles, snakes, or hamsters. Some pets, such as poisonous spiders, should really be left to the experts while others, such as turtles, are pretty good for anyone interested in them. If you already own and love one of the more exotic kinds of pets, by all means enjoy your pet! Remember that when getting a cat or a dog, you need to do your research to find the best companion. Pets depend on us to be responsible for their well being. They trust us to do what's best for them when we bring them into our world. Therefore, be realistic about your preferences and limitations. Siberian Huskies are lovely dogs, and I'm proud to own one, but she is an escape artist who requires two to three hours of intense play each and every day to remain happy and interested in staying home. Therefore, choose a pet that fits with your specific interests and lifestyle and both you and your pet will be happier. Cats are often a good choice for people with limited mobility, time or space. Cats exercise themselves, they don't require walking, and they're smaller than most dogs and take up much less space. Even though there are dogs approximately the same size as cats, dogs still require more room to run. Cats are generally wonderful for elderly people, as they don't require the same amount of training as a dog will to be well behaved. Unlike cardiovascular prescription medication, they don't come with physical side effects, unless of course you're allergic to them. Remember that the point of getting a pet is to enjoy the pet, not to help with cardiovascular disease. If you don't like animals and are not going to bond with a pet as a family member, don't get one. Pets do require care and feeding, and if you don't like them you will find performing that care to be stressful in and of itself. That kind of defeats the point of having one. The best place to find a pet is your local SPCA or animal rescue society. Thousands of wonderful dogs and cats need homes and someone to love. Pets adopted from shelters are guaranteed to be current on their shots and already neutered if they're old enough. If you get a young animal from a shelter, they will ask you to verify that you will neuter. Please do, there's no point to more unwanted puppies or kittens going hungry. However, try and find out any history to the animal, an older pet may be abandoned because it had a behavioral problem. Please don't get a puppy or a kitten from the pet store or anyone you don't know. Many pet stores get their puppies and kittens from "puppy mills" and these places produce dogs and cats that may die. Losing a pet is painful enough, but losing a puppy or kitten right after you get it is horrible. If you really want a purebred dog or cat, take the time to find and research a reputable breeder who should be happy to have you visit and see the conditions they raise animals in for yourself.